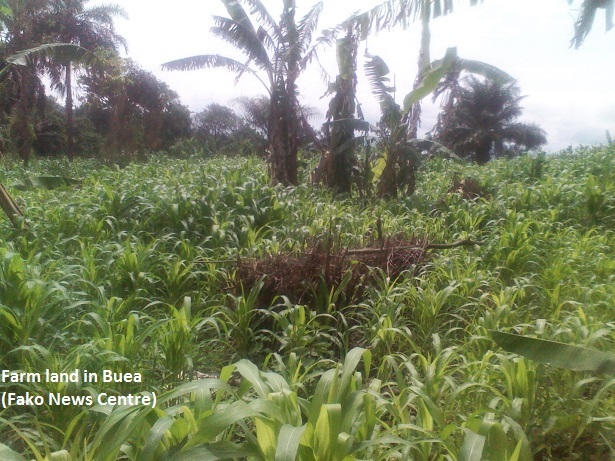 Farmers around Vasingi and Ewonda villages in Buea are now relieved after two notorious thieves fell into the dragnet of the vigilante. One of the thieves, popularly called Fritz Ekombe a.k.a. Moma’a Nyameh, has been bannished and is not to be seen around the vicinity of Vasingi while the other, Sammy Fvaleh is presently at the Buea Central Prison awaiting trial. Moma’a Nyameh who is noted for selling cocoyams illegally harvested from other people’s farms was caught recently harvesting crops from a neighbour’s farm. Based on an undertaking he signed some years ago the Quarter-head and the Traditional Council of Vasingi asked him to pack out of Vasingi village. He had signed an undertaking after being caught stealing repeatedly that he should be bannished from the village if ever caught stealing again. It was based on this document that the Traditional Council of Vasingi established his ‘bannish’ letter which has been copied, the Divisional Officer of Buea and other security authorities. On the other hand, Sammy Fvaleh of Ewonda village was caught by the vigilante group of Ewonda on Sunday 15th November 2015 with a bag of cocoyams and yams. He earlier claimed he harvested the products from his farm and when the vigilante insisted that he should take them to his farm, he tried to escape along the way. He later confessed that he stole the products and opted to buy four cartoons of beer to the village as a fine for the crime. Having suffered in the hands of Sammy, most farmers screamed for his blood and said they preferred him to be tried and jailed. He was then accompanied to the First District Police Station, Buea Town, where he spent some days in the police cell. He was later transferred to the Buea Central Prison since nobody came for his bail. He is now awaiting trial. Moma’a Nyameh and Sammy Fvaleh have boasted over the years of being the highest suppliers of yams, cocoyams, plantains and other farm products to customers. They are hunters who survey farms while hunting and visit the farms later to steal. These communities have been worried because most of them know these young men do not own farms capable of constantly producing food supply on a weekly basis over the years. Yet, villagers kept buying from them because they sold at cheaper prices.